Australia needed 14 runs from the last over in the first T20I against India in Vizag and ran past the finishing line on the final delivery. Australia won by 3 wickets with Nathan Coulter-Nile the man of the match. Australia and India had something similar in their batting effort in the first T20I at Vizag – both had one strong partnership and the end of it brought about a collapse. For India, it was the pairing of Virat Kohli and KL Rahul which put together 55 runs for the second wicket and for Australia it was Glenn Maxwell alongside D’Arcy Short stitching 84 runs for the third wicket. But the difference in the end turned out to be the tail – with Australia’s lower order doing enough to chase down the below-par 127 run total. 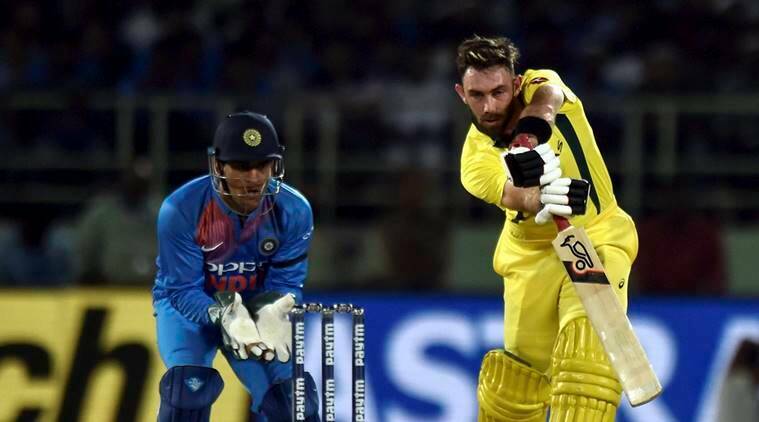 The Aussies got home on the last ball to win the first T20I and hand India their second straight defeat in the shortest format for the first time since June 2016. It is also India’s first T20I loss at home in eight matches. Jasprit Bumrah’s penultimate over with just two runs and two wickets turned the game on its head and India looked to be headed towards an unlikely win. But Umesh Yadav’s expensive final over undid all that hard work to hand Australia the win. Where Bumrah went for two runs, Umesh conceded two boundaries in the over to tip things in Australia’s favour. With 127 needed to win and Maxwell in glorious touch, Vizag crowd lost its voices and not many expected India to get anything out of the match. But, Yuzvendra Chahal struck to dismiss the set Aussie for 56 runs from 43 balls. It was following his dismissal that Australia lost their nerve with D Arcy Short getting run out to a mixup. Ashton Turner, Peter Handscomb and Nathan Coulter-Nile fell for single digits and suddenly India looked to be in the ascendency. Jhye Richardson and Pat Cummins kept their calm to give Australia a 1-0 lead in the two match T20I series which will be followed by five ODIs. Put into bat, KL Rahul’s half-century on comeback had India cruising but another middle order collapse meant India were restricted to just 126/7 in 20 overs. Back in the senior team after two-month wilderness due to his trash talk on a TV show, Rahul showed why he is rated highly during his 36-ball-50 but some indiscreet shot selection from his teammates meant that only 46 runs were scored in the final 10 overs. From a comfortable 80 for two in 9.5 overs, India lost four wickets for 20 runs by the 15th over to be reduced to 100 for six. MS Dhoni, played one of his signature dogged innings as he stemmed the rot with an unbeaten 29 off 37 balls but the total was definitely sub-par in the end. At the top of the order, Kohli didn’t get the required elevation as he stepped out to leg-spinner Adam Zampa only to find Nathan Coulter-Nile at long-on. In the very next over, Rishabh Pant misjudged a single and Jason Behrendorff dived to his left and released the ball quickly for keeper Peter Handscomb to effect a run-out. The Indian innings was all about Rahul’s flair as he repeatedly played the inside out lofted shot off pacers and the only six was a down the ground hit off Adam Zampa. Rahul however could not convert his start and got out immediately after reaching his fifty in an over where Coulter-Nile (3/26) also breached Dinesh Karthik’s defence with an off-cutter. At the start of the innings, Behrendorff dismissed Rohit (5) as early as in the third over with the Indian vice-captain trying the lap shot but only to give Zampa a simple catch at fine leg. But things started to go in India’s favour from the next over with Rahul and then Kohli scoring a flurry of boundaries.